Highly ornamental shrub to small tree with attractive foliage, flowers and fruits. 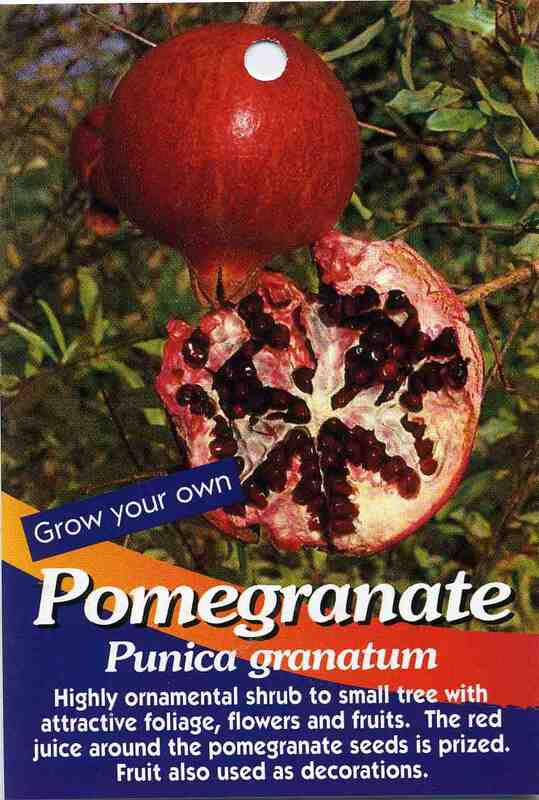 The red juice around the pomegranate seeds is prized. Fruit also used as decorations. 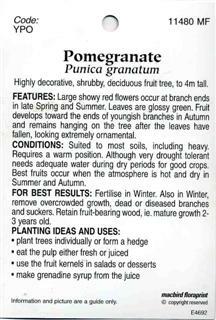 Highly decorative, shrubby, deciduous fruit tree, to 4m tall. FEATURES: Large showy red flowers occur at branch ends in late Spring and Summer. Leaves are glossy green. 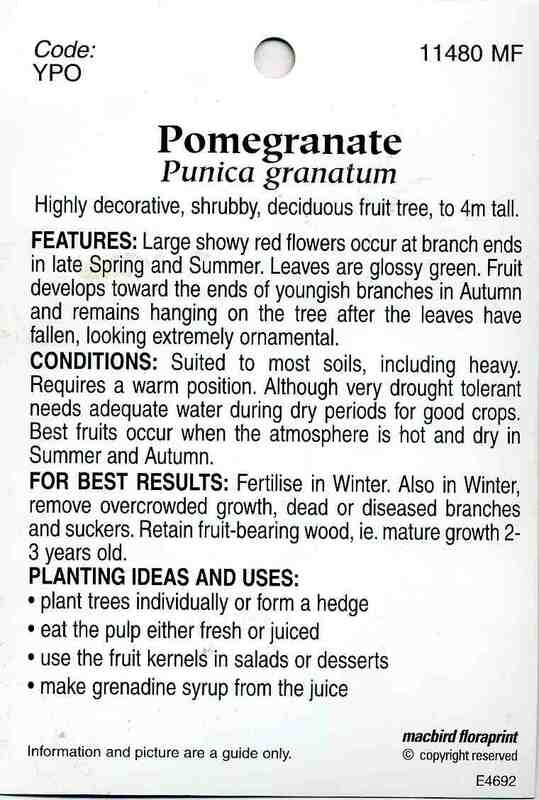 Fruit develops toward the ends of youngish branches in Autumn and remains hanging on the tree after the leaves have fallen, looking extremely ornamental. CONDITIONS: Suited to most soils, including heavy. Requires a warm position. Although very drought tolerant needs adequate water during dry periods for good crops. 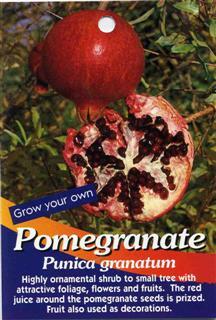 Best fruits occur when the atmosphere is hot and dry in Summer and Autumn. FOR BEST RESULTS: Fertilise in Winter. Also in Winter, remove overcrowded growth, dead or diseased branches and suckers. Retain fruit-bearing wood, ie. mature growth 23 years old.